We’ve come a really long way since then, and it’s entirely thanks to all the support we’ve had throughout the process; from charities, organisations and above all, from you guys, our backers and all the individuals who’ve pushed us to get to where we are now. So where are we now? Well, the film’s actually finished! It was definitely not an easy process, we’ve had a lot of setbacks along the way, but by pushing through, we did get there. Since successfully reaching our target last year, we held auditions right at the beginning of the year (a special thank you goes to Michael Chandler and Cardboard Citizens), and managed to find our extremely talented cast, including Elle Payne, Nolan Willis, Megan Prescott, David Olapoju, Hayley Wareham and so many others. The cast really are the very core of the film; we put them in some very tough situations, emotionally and physically, and they had to deal with some harrowing storylines and scenes, but I was constantly amazed by the commitment, bravery, and above all, humanity each of our actors brought to the film. Many of the actors involved had lived out experiences just like the ones they were portraying, so for them to relive them in front of the camera, and with such conviction, is something I can never thank them enough for. We filmed throughout Easter, in a gruelling process involving long commutes within London and Bristol (a special shout out goes to Fergus, who had the unfortunate duty of driving the van, but never once complained), scary moments dealing with members of the public, reshoots, postponements and SO MUCH COFFEE. Once we’d finally shot the final scene, on a busy Whiteladies Road in Bristol, it was pretty weird to actually have the film in the can, after several weeks of filming all day long, and I have to admit a pretty sad experience, after working so closely with all the cast and crew. A mention really does have to go to our crew on the shoot as well, for sticking with the film throughout the whole process; not only did they ensure that the film got done, and to such a high quality, but most of all they brought a warm, comfortable atmosphere to the set, something so important, especially when making a film like this. Then, we got into editing; always a slog to get through, our incredible post-production team, including Kelsey, Rupert, Rich and Darren have been amazing, putting in countless hours and sifting through terabytes of footage to piece together something that’s moving, and powerful, but above all truthful. Sitting in front of a computer in a dark room for hours on end can be a frustrating and lonely process, but I can’t fault our team for what they’ve done. And now, in just two days, we have our first preview! We’re going to be screening a short section of the film of the film to a massive audience at the Big Issue’s Big Sleep Out this Friday, at The Oval in London. It’s pretty terrifying to be putting the film (or at least part of it) in front of a wide audience for the first time, but it’ll the beginning of the most important part of the entire process; getting the message out to people, telling the stories we’ve heard and raising awareness of the state of homelessness in the UK, and what people can do to help. Keep an eye out, as we’ll be bringing you live updates of the night over on our Facebook page: www.facebook.com/sleepingroughfilm. We also have to thank Justine Tatt over at the Big Issue Foundation for allowing us to screen the film, and for organising such a momentous event. After the Sleep Out, we’ll begin with our submissions to film festivals, and also organising our tour to schools and colleges, aiming not only to raise awareness of homelessness as it is now, but also how easy it can be to become homeless yourself, and how to be aware of the warning signs. The 16-25 demographic of those becoming homeless is one of the fastest rising at the moment, and hopefully by raising awareness of the warning signs of homelessness, and how to avoid, fewer young people will end up sofa surfing, staying in hostels or temporary accommodation, or even sleeping on the streets. We also have some exciting news for next year! We’re working with Bristol City Council and Bristol Homeless Forum in organising Homelessness Awareness Week 2018, taking place from the 24th February to 3rd March; during the week, we’ll be holding a special screening of Sleeping Rough at the Watershed Cinema, accompanied by other short films tackling the issue of homelessness. There’ll be activities throughout the week, aiming to raise awareness of homelessness in Bristol, what services there are available, and how people can get involved. For more info and updates on the week, go to: www.bristolhf.org.uk, and we’ll also be posting updates on our website: www.pastlesproductions.com/sleeping-rough-the-story. Finally, I’d just like to thank once again everyone that’s carried us through this process; like I said, it hasn’t been easy, we’ve lost a lot of sleep, weight and sanity over the year, but we’re so glad we decided to take on this film. 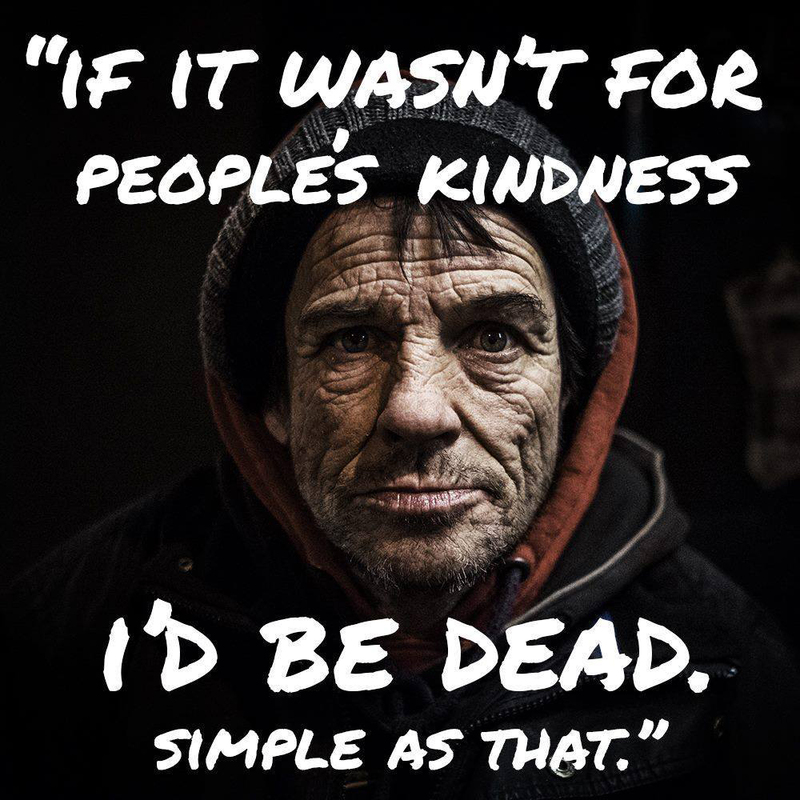 The response has been monumental, we’ve had feedback from people, not just in the UK, but from all over the world, and we really do hope that we can make a difference, by representing the stories of people that have experienced life on the streets, and working towards a world in which no one is forced into homelessness. Thank you to all the people we’ve interviewed, for sharing your stories with us, and for being so truthful and honest. Thank you to all the charity leaders and shelter workers out there who supported us, allowed us into their worlds and who are already doing such an incredible job of trying to make the world a bit safer. Finally, thank you to all you guys, for listening to us and making the project what it is today. Stay tuned.